The film will be presented in found footage, and the plot centers on the creation of a time machine. A group of friends discover plans to build a time machine and in so doing build one them selves. They use the time machine for their own gain and pleasure but soon realise that changing the past has dire consequences in the future. 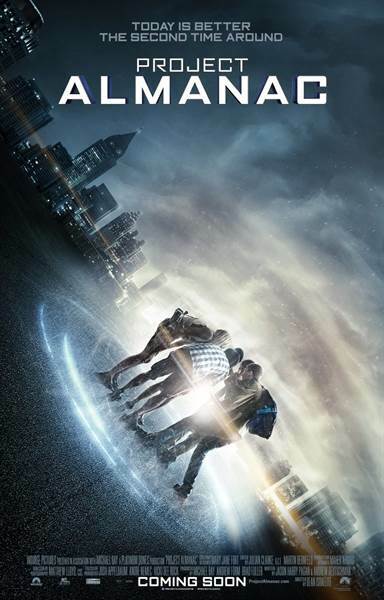 Download Project Almanac in Digital HD from the iTunes store. Project Almanac images are © Paramount Pictures. All Rights Reserved. It's time to change some time! Always interested in time traveling, looks cool enough. I'm interested in the story but I don't like when the actors and actresses hold the cameras.